1. All copyrights to Image Comparer are exclusively owned by the author - Bolide Software. 2. Anyone may use this software during a test period of 30 days. Following this test period of 30 days or less, if you wish to continue to use Image Comparer, you must purchase it. 4. The Image Comparer trial version may be freely distributed, provided the distribution package is not modified. No person or company may charge a fee for the distribution of Image Comparer without written permission from the copyright holder. 5. Image Comparer IS DISTRIBUTED "AS IS". NO WARRANTY OF ANY KIND IS EXPRESSED OR IMPLIED. YOU USE AT YOUR OWN RISK. THE AUTHOR WILL NOT BE LIABLE FOR DATA LOSS, DAMAGES, LOSS OF PROFITS OR ANY OTHER KIND OF LOSS WHILE USING OR MISUSING THIS SOFTWARE. 6. You may not use, copy, emulate, clone, rent, lease, sell, modify, decompile, disassemble, otherwise reverse engineer, or transfer the licensed program, or any subset of the licensed program, except as provided for in this agreement. Any such unauthorized use shall result in immediate and automatic termination of this license and may result in criminal and/or civil prosecution. 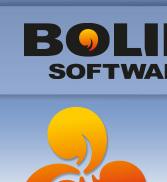 All rights not expressly granted here are reserved by Bolide Software. 7. Installing and using Image Comparer signifies acceptance of these terms and conditions of the license. 8. If you do not agree with the terms of this license you must remove Image Comparer files from your storage devices and cease to use the product. Thank you for using the original Image Comparer. Should you detect errors before registration, you accept them if you register. Any description of bugs will be accepted, but we cannot guarantee that we will be able to correct them. Image Comparer - Worked great! "I can say that Image Comparer has become just indispensable now for me since I started using it a year ago – it seems to be so for all people dealing with images. It works lovely – you just set the similarity level and launch the search – nothing more to do!"